Update 2018: I was browsing through old posts and stumbled across this! First, forgive the image quality. I took these pictures years ago when my photography skills were non-existent. 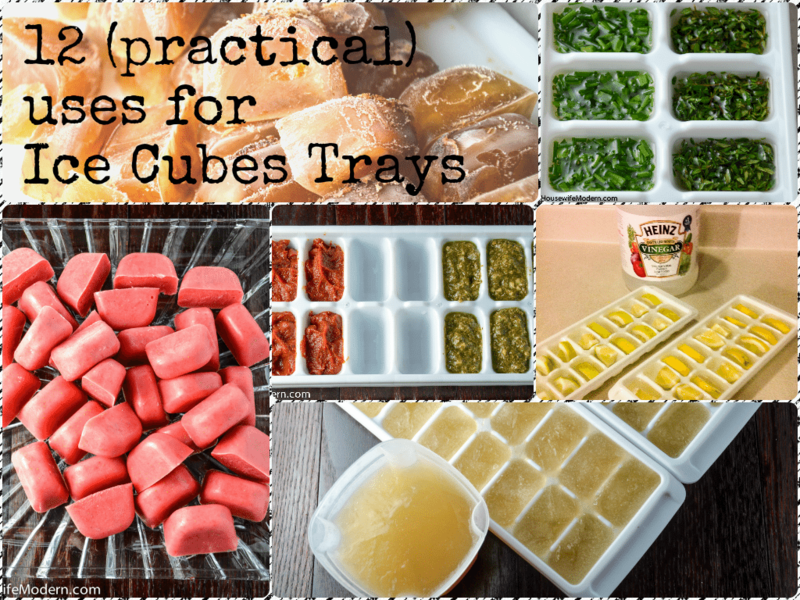 Secondly (and most importantly), I STILL use ice cube trays for some of these things. These really are long-term tips that you can use to save money! I never appreciated ice cube trays. After all, my freezer had an ice maker…what in the world did I need those little plastic flexible 90 cent trays for? Then I found Pinterest. There are a lot of suggestions. Some were useful. Other…well, I think people made them up just to fill up space on their blog posts (or maybe people really do make chocolate covered strawberries in the freezer?). After I tried some of them, I couldn’t believe how a little time invested now resulted in a lot of time saved later. Not to mention money. Here are the ones that I actually found useful. Because as I’ve said before (and will probably say many times in the future), if I’m recommending it, I’ve tried it! 1. 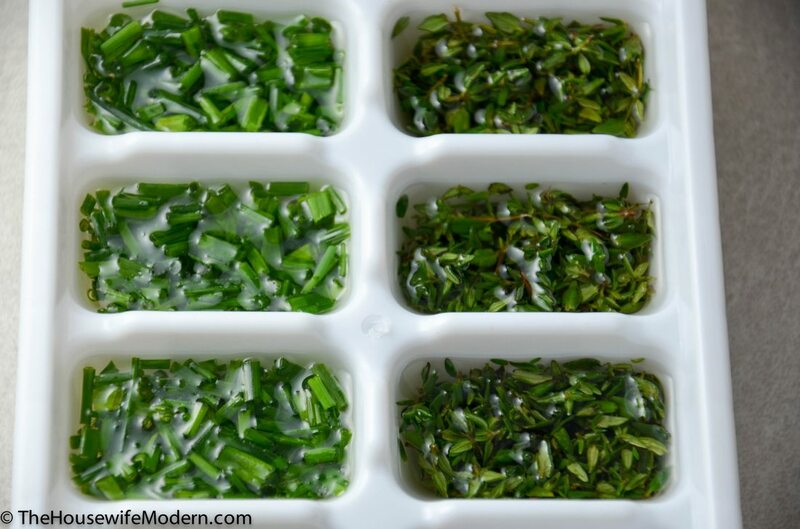 Freeze fresh herbs in olive oil (or butter) so they don’t go to waste- if you haven’t tried fresh herbs such as sage and thyme (they are potent! )- this is the chance to do so without worrying about wasting your money by using 1 Tbsp. of herbs and throwing the rest away. Next time a recipe calls for one of them, try it out. 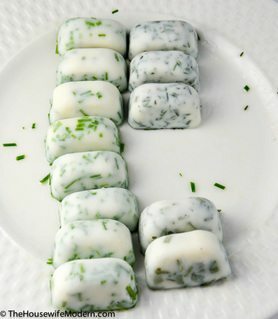 Take the extra herbs and pack a single cube slot 2/3 full with herbs and then add oil. For mine it works perfectly to put 1 Tbsp. of herbs in the tray and pour in olive oil. Place in freezer. After frozen, flip out and store in freezer in ziploc bag. Remember to label them so you don’t forget what you froze! My Thanksgiving turkey recipe calls for a bunch of fresh herbs for the brining process. Here are pics. Throughout the rest of the year, I’ll toss a cube in when I’m sautéing mushrooms or onions, add to soup, etc. (My favorite is using a cube to sauté mushrooms and adding the mushrooms to wild rice. 2. Wine. Use later to to deglaze pan (toss in pan, swirl, then add a dab of butter) or to chill your wine. Great use for leftover wine…assuming you’re not the “drink the whole bottle” type! Wine. Use later to to deglaze pan or use to chill wine. 4. Buttermilk, heavy cream, & whipping cream– I make pancakes for my husband about once a month. And was so tired of wasting all that extra buttermilk. Freezer to the rescue! Not to mention a lot of baking that requires 2 Tbsp. heavy cream, etc. Freeze the extra. Thaw to room temperature when you want to use and give it a quick whisk. 5. 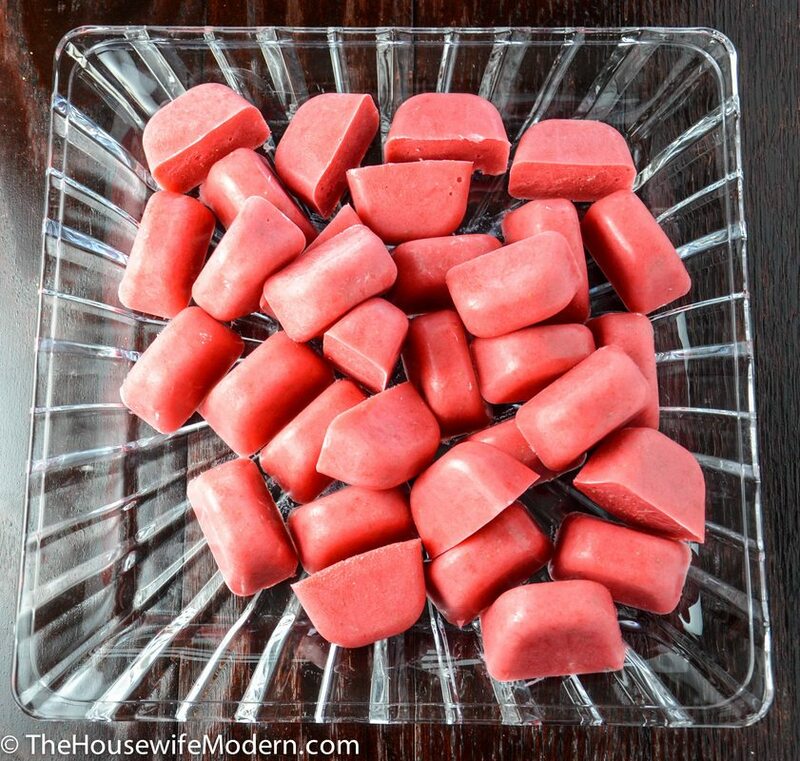 Homemade Garbage Disposal Refreshers. 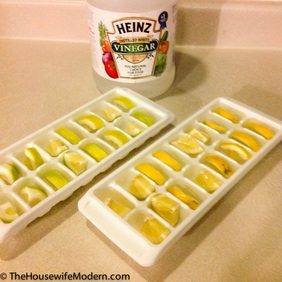 Take a small piece of lemon, cover with vinegar, and freeze. When you want to refresh your garbage disposal. When you want to clean garbage disposal, start a trickle of HOT water (maybe about pencil size) running down drain. Add between 1/4 and 1/3 C. baking soda. Add 2-3 of vinegar cubes. You should hear the fizzle in the drain as the chemical reaction begins. Let sit about a minute. Turn on garbage disposal and run until clear. 6. Chicken (or Vegetable) Broth/Stock. For full directions on how to make homemade chicken stock (it’s easy and practically free...most of the ingredients are things you normally throw in the trash anyway), see my “Stop Buying, Start Making: Chicken Broth” post. 7. Tomato Paste. One of the things that used to annoy me was opening a can of tomato paste, using 1 Tbsp., and then throwing the rest away. So I was quite happy when I discovered freezing the extra! The ice cube tray is actually a perfect tablespoon. So I simply freeze the extra and pull it out when I’m making those one or two recipes that call for tomato paste (such as Shrimp Jambalaya). 8. Pesto. I have precisely one recipe in my cookbook that calls for pesto. I’m sure I’ll gather more in the coming years, but for now…I need to freeze the extra pesto because my husband, while he likes my “Pesto Ravioli”, he doesn’t want to eat it every other week. For those that make homemade pesto, this is great because that goes over even faster than the jarred version. 9. Leftover fruit. Is the fruit ripening too fast? This happens to me. It’s just me and my husband and sometimes the fruit beats us to the punchline. If I’m worried that’s going to happen, I have a few options. Puree the fruit by itself and freeze: can be added to pancake batter or oatmeal. 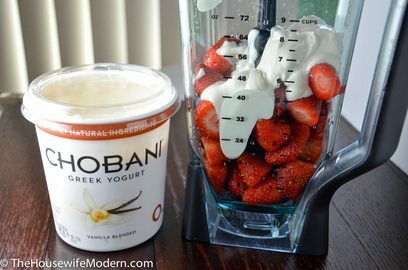 I usually puree it with a little bit of yogurt, though, and then use it in protein shakes. Yum! And, of course, can be used in smoothies. Puree leftover fruit (or fruit and yogurt) for smoothies. Fruit and yogurt for smoothies, pancakes, or oatmeal. 10. Leftover vegetables. (the ones you don’t save for broth). Spinach is one vegetable that always seems to be left over in our produce drawer. I use a little bit for a recipe or husband eats just a little bit in a salad…and then the rest just sits there. Instead of throwing it out- which I used to do- I now repurpose it. 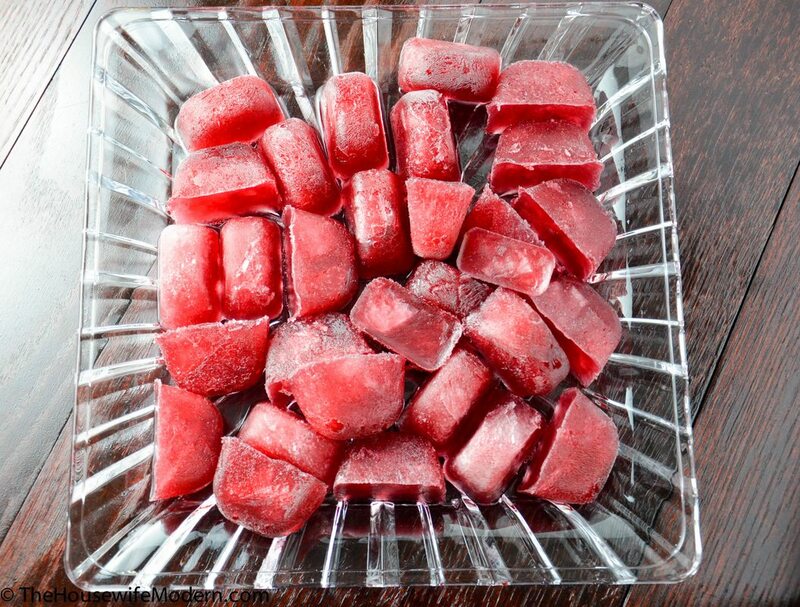 Take any steamed vegetable, puree it in the blender, and pour into ice cube trays. Freeze. Later drop then into spaghetti sauce, chili, or soup. While I don’t have kids…I already know how I’m going to sneak in vegetables if they don’t want to eat them! 11. Fruit juice. I use apple cider in a couple of recipes, but the recipe NEVER calls for the full container (of course). I freeze the extra. I use it when I need it for another recipe. 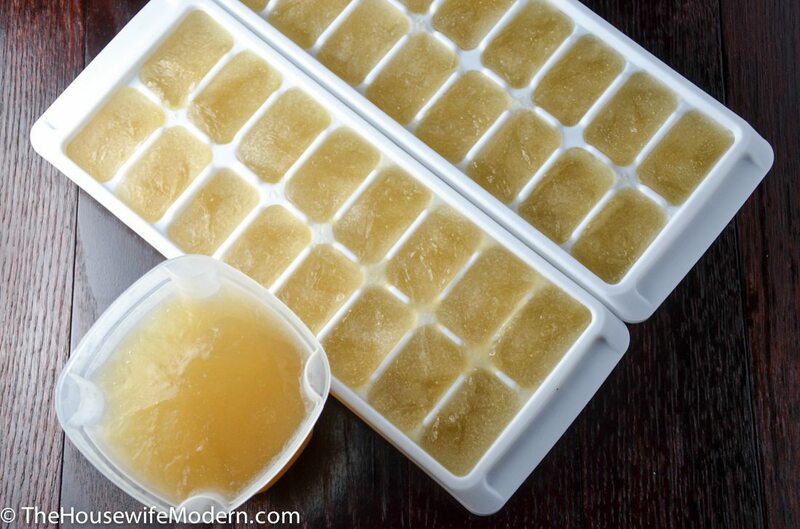 (or if it’s apple juice, I thaw it out halfway and crunch on the apple ice chunks…seriously). 12. Minced garlic & olive oil. Most sites recommend using food processor to make a “slurry”; 1 part garlic to 2 parts oil. 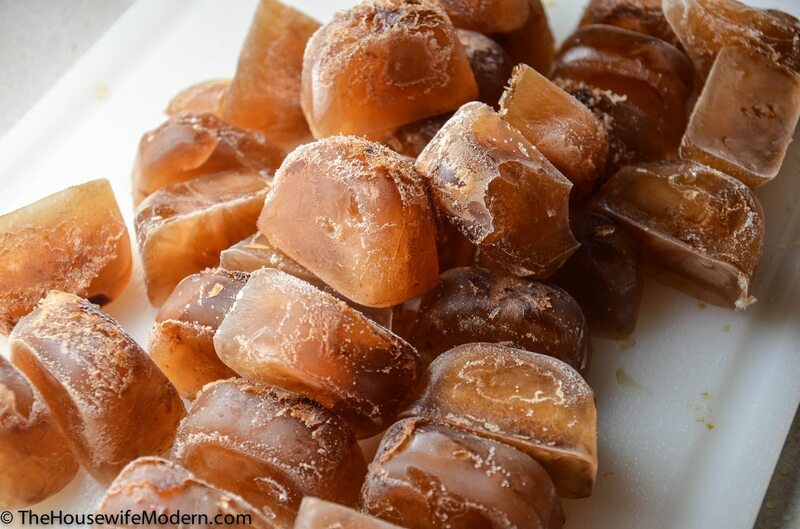 You can also freeze the bulb or peeled cloves in freezer bags. However, my husband prefers fresh minced/crushed garlic in dishes (garlic is better fresh). 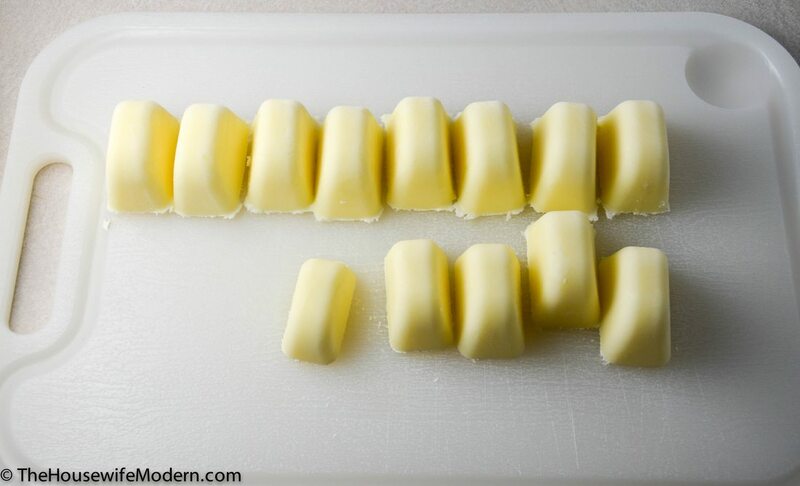 Thus, while is a great tip I’m sharing….I stick to whipping out the garlic press every time. Really like the website. First time visitor. Will return. I didn’t know that you could freeze buttermilk. I’m always throwing that away when I purchase it.